A first-person adventure game focused on exploration. The game was developed by the German team at Crytek (famous for the best-selling Crysis series) and designed to support virtual reality technology. Robinson: The Journey for PS4 and PC is a first person adventure game focusing on exploration and designed to support the virtual reality technology (such as the Oculus Rift). It was developed by a German team Crytek, famous mainly for the Crysis series. 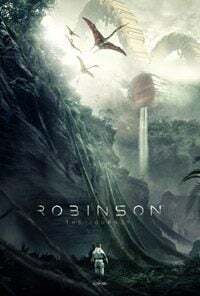 The story in Robinson: The Journey for PS4 and PC is set on an alien planet which combines prehistoric fauna (dinosaurs mainly) with tropical flora. Moreover, the surface of the planet is dotted around with remnants of an advanced race of intelligent creatures. The player is put into this environment in the shoes of a small boy - the only survivor of a spaceship crash. The player discovers a mysterious land, will often interact with the environment and have many adventures. Robinson: The Journey for PS4 and PC is powered by CryEngine as an official Crytek's product. This results in beautiful graphics overpowering the majority of games supporting the virtual reality.